On the 2nd of October, 2017, Childhood USA hosted the 2017 ThankYou Awards gala at Cipriani 25 Broadway in New York in the presence of HMQ Silvia and HRH Princess Madeleine of Sweden. October 2 is Mahatma Gandhi's birthday and the international day of non-violence. In her opening remarks, HM Queen Silvia quoted Gandhi: "In order to build a sustainable and peaceful world, we shall have to begin with the children". 400 guests, including UN and corporate leaders, influencers and celebrities attended the Gala, helping to raise nearly $1 million. Childhood USA honored three leaders who have significantly furthered children's rights: Amina Mohammed, UN Deputy Secretary-General; Melinda Gates, Co-chair of the Bill & Melinda Gates Foundation; and Monika Heimbold, President of The Heimbold Foundation and a co-founder of the World Childhood Foundation. The Secretary General of the United Nations, Antonio Guterres, delivered a speech during the dinner on the importance of Childhood USA's work to prevent child sexual abuse and exploitation and the need to prioritize children in the global agenda. The work of one of Childhood USA's grantees, Safe Horizon, a New York based non-profit, was highlighted during the event. Among the performances at the gala were Ernst Simon Glaser of the Gothenburg Symphonic Orchestra and the Swedish acoustic band Good Harvest. 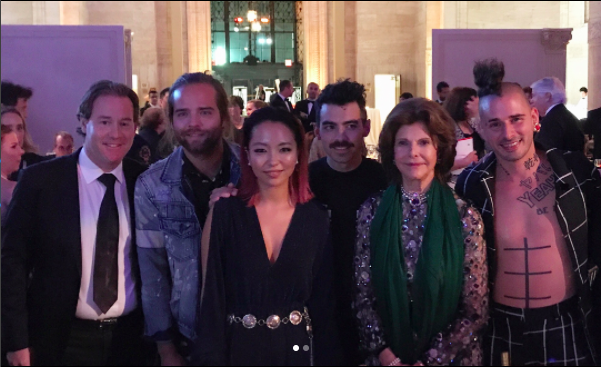 For the grand finale, the guests were treated to the electrifying band DNCE, featuring Joe Jonas, famous american actor and pop singer. Click here to read the press release on the Gala.